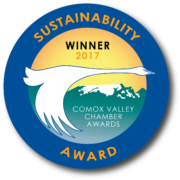 Comox Valley Project Watershed is pleased to announce it received a five-year funding contribution from Fisheries and Oceans Canada (DFO). 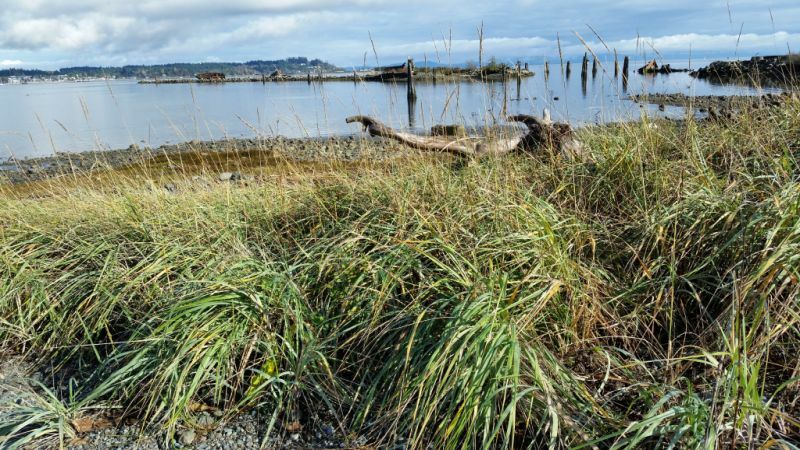 This funding contribution is part of over $75 million allocated by the Coastal Restoration Fund (CRF) under the Canada’s Ocean Protection Plan to support aquatic habitat restoration projects. 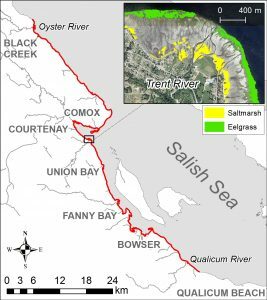 Project Watershed received $689,000 to conduct strategic planning and rehabilitate marine habitats along more than 120 km of eastern Vancouver Island shoreline, from the Oyster River estuary to just south of the Nile Creek estuary, at Annie Creek. Map showing study area outlined in red. Inset provides an example of the type of mapping that will be undertaken, with saltmarsh in yellow and eelgrass in green. The project focuses on mapping and restoration of the marine habitats – eelgrass, salt marsh, and kelp – that have been fragmented or lost due to human activities but play an important role as a migratory corridor – a salmon highway – and protection from predation for juvenile salmonids and associated feed organisms. The project will include participation from local community groups and will compare historic and present-day distribution of these habitats to assess target areas for restoration. Project Watershed has compiled a team of scientific and mapping experts to implement this project. The project is managed by Christine Hodgson, project coordinator, and Dan Bowen, Technical Director of Project Watershed. Natasha Nahirnick is the mapping expert and Jennifer Sutherst, Angela Spooner, and Dr. Bill Heath are the habitat specialists for saltmarsh, eelgrass, and kelp respectively. The first phase of the project includes a survey of the nearshore habitat in the study area to identify restoration opportunities. A comprehensive review of historical and current uses of the marine nearshore is being conducted through interviews and survey of the literature. Two stakeholder sessions were held, one in Courtenay on March 2 and one at Qualicum First Nations on April 24, to facilitate information gathering and to foster new relationships with community organizations and individuals interested in participating in the project. Digital mapping of the study area is also underway using both historical and present-day air photos. Imagery data will be ground-truthed in the summer of 2018 using a towed video camera to verify vegetation types. The resulting literature review and mapping will provide the background necessary to develop a comprehensive Coastal Restoration Plan that will guide subsequent restoration activities. 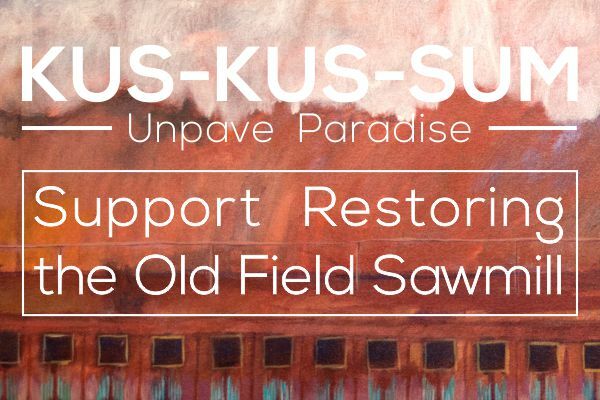 The goal of the Plan is to identify and prioritize restoration opportunities based on likelihood of success and impact on mitigating habitat fragmentation. Project Watershed is honoured to have this opportunity to make a significant contribution to rehabilitating marine habitats and to collaborate with local community members. Anyone who may have information that might be of interest to the team or is interested in becoming involved in this project is encouraged to contact Amy Firth at Project Watershed at 250-703-2871 or by email ad.projectwatershed@gmail.com. Note: Hover your mouse over the image below to learn more. Project Watershed will use the Coastal Restoration Fund to protect and restore important saltmarsh, eelgrass, and kelp habitats, such as this saltmarsh area near Royston Wrecks.